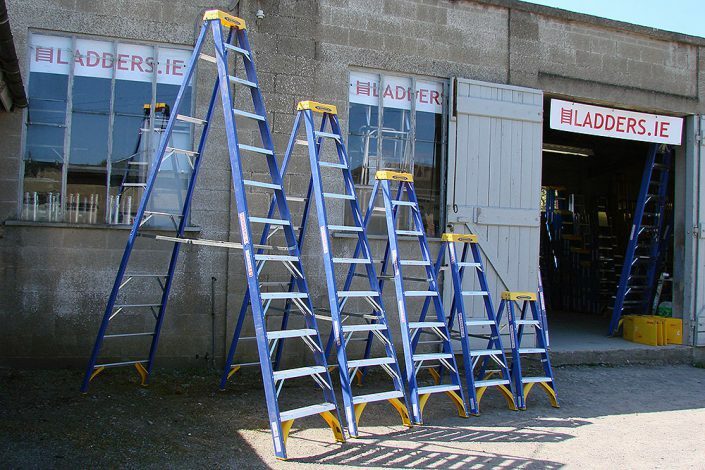 The best quality range of Industrial fibreglass ladders available in Ireland. 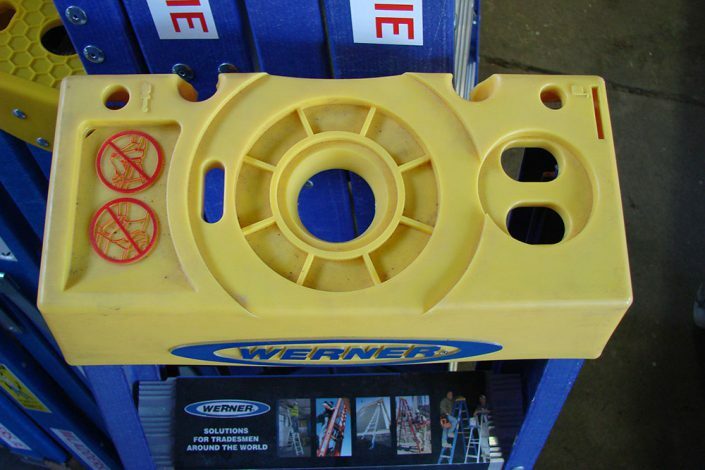 Heavier gauge fibreglass styles than those used in Trade Grade ladders. 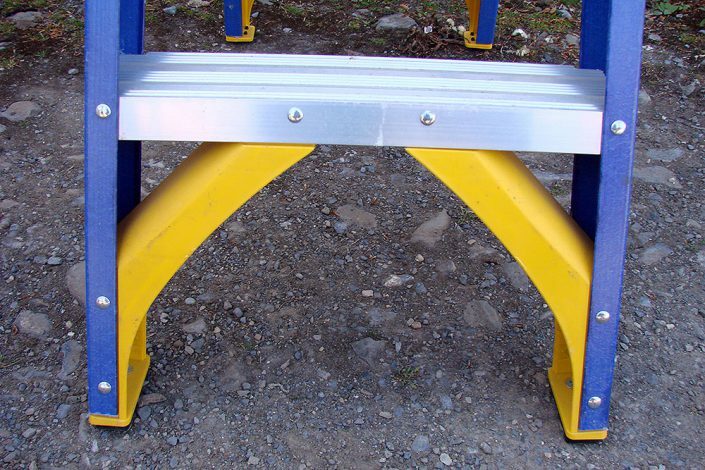 Increased bracing on both front and back frames to increase strength and durability. 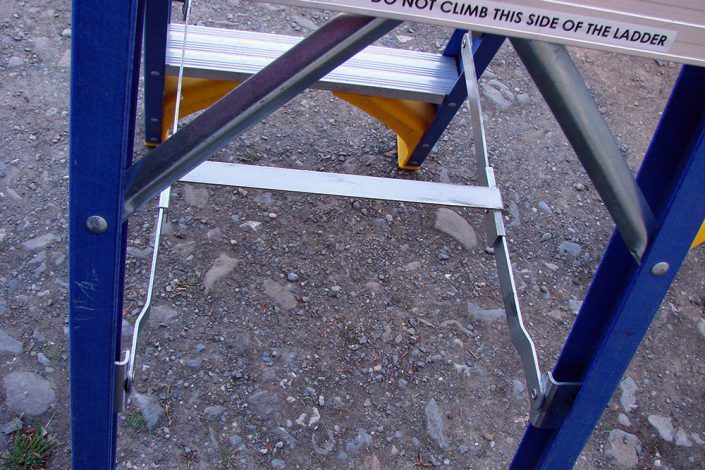 H spreader bars offer single handed operation for ease of use. Non-conductive fibreglass stiles make these ladders ideal for electrical work. 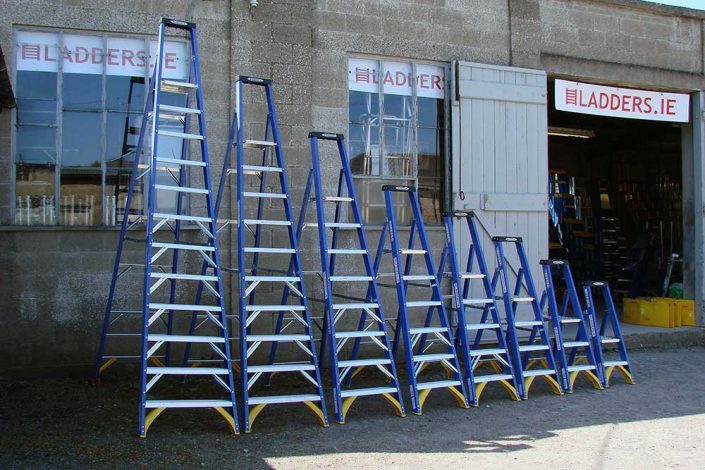 The Industrial Blue Platform Stepladders are available from 2-12 treads. The Industrial Blue Swingback Stepladders are available from 4-12 treads.